If one is seeking roundish patterns to go into the circles, it isn't long before you think of a flower. The yellow and brown give this an autumnal feel. 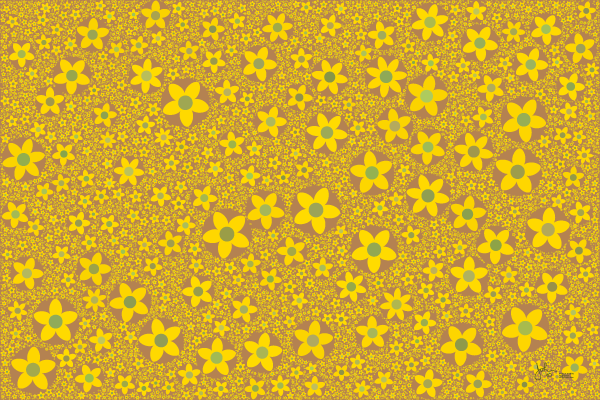 Do all the flowers have the same number of petals? The original has about 16000 circles, all fully resolved. This image has been compressed for internet use and the resolution is much less.